You hear all the time that giving kids choices is the way to go. But what if it backfires? Here’s why giving kids choices doesn’t always work. My son woke up cranky, dragging himself through his morning routine. He complained about his oatmeal and lay limp as I got him dressed for school. He balked when he had to stop assembling his puzzles so we could leave the house on time. And when it was time to put on a jacket, he refused. And for good reason: When given a choice, kids gain a sense of ownership. Suddenly, putting on a jacket doesn’t seem like Mom’s Terrible Idea I Must Rebel Against. Instead, they get to decide that for today, they will wear the blue jacket. But is it possible offering choices will backfire? And does its effectiveness fizzle after a certain point? Now imagine a mom so taken with offering children choices. She saw the immediate positive responses when she’d ask her son what he’d like for a snack. She also asked if he wanted to play on the slide or on the seesaw before leaving the park. Then it was what music he wanted to listen to at home. When we inundate our kids with too many choices, they come to expect a say in every decision. It almost becomes a game, a ritual: Mom says what we have to do, child gets a say in how it goes. My son has to go to school every morning—no choice in that. He has to eat dinner, brush his teeth, and take a bath—no choice in that either. If we play the choice card too often, we lead our kids to expect choices even when there is none. Be careful about offering choices when doing so isn’t even necessary. Your child wants or expects to leave the house every morning. Asking him whether he wants to take the stairs or the elevator every day is a question you didn’t need to ask. And when given too many choices, kids suffer from the stress of choice overload. 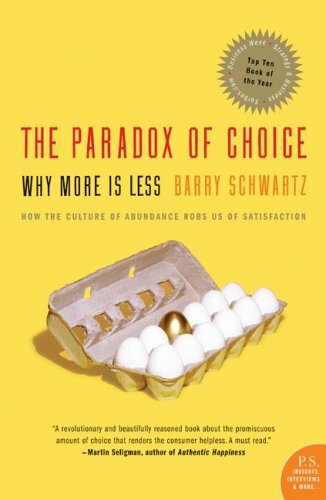 Psychologist Barry Schwartz challenges one of our most-prized tenets—freedom of choice (affiliate link). He argues that an excess of choices leaves us paralyzed and dissatisfied. Not exactly ideal for us, much less for young kids. Too many choices makes us second-guess our final decision. We waste our time from weighing one option against the other. And it makes us wonder how happy we are with the choice we made (versus the choices we could have made). You also can’t guarantee that choices will work. At first, choices still seem new and kids are more likely to comply and embrace their choice. But choices can also introduce a whole new level of disagreement. Kids may not like the choices given and still balk at doing either. They might insert their own choices, defeating the point of offering choices. An increase of choices also increases expectations. Kids won’t accept that they have to go to bed by a certain time. Instead, they now expect a slew of options before the necessary gets done. They might expect a choice of which stuffed animal to hold, and which cup to drink from, and which books to read. Instead of the expectation that they go to bed at a certain time, they learn to expect a choice when to do so. I’m still a fan of choices when given effectively. Giving choices reduces conflict. I’ve avoided tantrums by focusing on the choices my son can make instead of the task he’s resisting. Choices empower kids. Under the rule of adult decisions, kids can voice their opinions through choices. It’s no wonder they embrace their choices. With parents directing their lives, they celebrate the choices they’re able to make. Offering choices also encourages kids to think for themselves. They don’t just follow everything we say. Giving them choices allows them to be assertive and develop critical thinking. Perhaps most importantly, giving choices respects our kids. We recognize that we make most of the decisions in the house. But we also hand them the choice because we care and respect their decisions. We won’t ask them which new car we should buy. But we can still ask them for their opinions on which park we can go to, or which snack they’d like to eat. How then, can we effectively offer choices while keeping their negatives to a minimum? Keep options parent-approved. Asking if your child wants to sleep now or an hour later may not be realistic if you know he needs to sleep soon. Narrow their options. I offer two options so my son isn’t inundated with so many. Aim for two, and if that’s not possible, narrow it down as much as you can (“Pick a book from this shelf”). You’re the adult. At some point we have to put our foot down when choices aren’t heeded. Sometimes kids aren’t satisfied with choices, or add their own, or ask for them when there is no choice. We don’t and shouldn’t have to succumb to their whims or make them happy. Mirror the emotions you want them to have. When offering choices, do so in the same way you’d like your kids to act. Barking orders, nagging or complaining will only reflect on their emotions. When used properly and sparingly, choices offer kids and parents all sorts of benefits. Kids feel respected and empowered, and we avoid yet another meltdown. But used too often, or giving too many choices, can actually impede your goals. Your child tries to negotiate too many choices. The slew of choices frustrates your child instead and doesn’t give him the freedom to choose. When deciding to offer choices, use your best judgment. 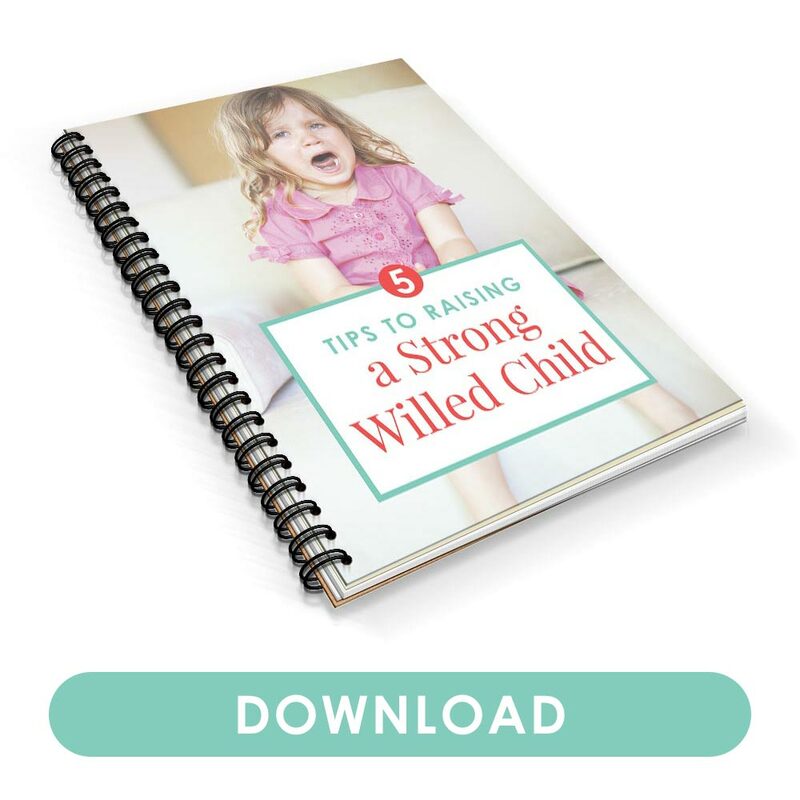 Will doing so help the situation and benefit both you and your child? Or will it simply establish a new expectation, one filled with choices galore? Because sometimes, offering choices may not always be the best choice. Tell me in the comments: How do you use choices in your interactions with your kids? 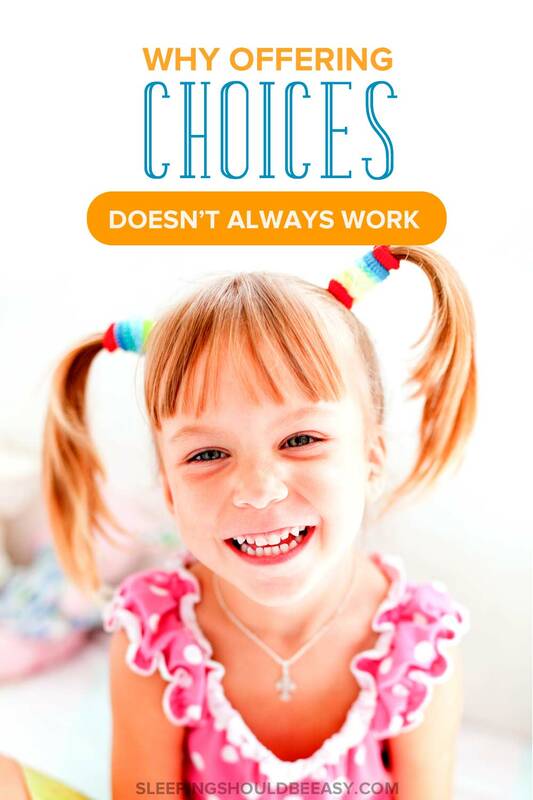 Why do you think giving kids choices doesn’t always work? A good reminder that there is always too much of a good thing, including when it comes to toddler discipline/behavior. I’m a big fan of offering choices for all the reasons you mention, but also recognize that it can backfire or be too much when not done properly. Thanks for outlining the pros and cons, plus offering great tips for the most effective ways to use this important parenting tool! So interesting to read about the flipside of choices – we all felt like we had been let in on some huge secret when we learned that asking kids if they want hamburgers or hot dogs seems to empower them. And sometimes it does. Other times, it confuses my daughter and makes her expect choices for EVERYTHING. Thanks for offering solutions and not just outlining a problem! Thanks, Tamara! Yeah I notice the same with my kiddo. In giving him all these choices he sometimes comes to expect them when they just aren’t applicable. I really enjoyed this thoughtful post. I agree with you, that there are times when kids need choices and times when they have to live without them. While I do give my kids a lot of choice about things that don’t really matter – like what clothes to wear – my favorite choices are ones that give them some responsibility – like which family activity to do (and they then help plan the activity), or what to eat for dinner (and they then help prepare dinner). MaryAnne, that’s a great tip about adding in responsibility in addition to the choices they make. It ties in choosing with doing (and not just having it appear in front of you all the time). Thank you for adding your point of view on the advice that the “other” parenting sites gives as gospel. When I read, “give your kid choices like what color shirt he wants to wear”, I’m like, “my kid doesn’t care half the time”. So for me, I only offer choices if he actually would care to make that choice, and if there are me-friendly choices to be had. Like you said, we are the parent and we should make decisions for them at appropriate times. Yeah, that was the gist of an article I once read where the mom admitted she threw choices out like the color of the shirt just because she heard to do so, when her kid really didn’t feel invested or cared much for the choice. I have this thing where if I offer choices, I want an instant response. I don’t want whoever to think about it, weight it out, I don’t want to explain the pros and cons of each decision, I just want an answer! This often leads me to the land of no options. I guess I’m like that because I don’t like having too many options, I can stand in the chip aisle of a grocery store for 20 minutes deciding if I want fritos or Cheetos..or lays. It’s horrible and I agree with you- choices don’t always work. Keep them to a minimum! Even for adults. That’s proof right there that given too many choices actually paralyzes us instead of freeing us! We think about what we could have chosen, or question whether this is better than that. Great points! I would also add that when Gavin balks at the two choices I give him, I tell him he doesn’t have to like his choices and he can even be mad at me for offering such terrible options, but they’re the only two options he has; so, if he wants a say in things, he best choose the least evil of the two options. It doesn’t always work (and sometimes does result in a tantrum), but it’s charming (in a way only a parent could love) when it does work (because I imagine him a bit older grumbling under his breath as he makes a choice). Ooh I like that Nilsa! Explaining to the kid that he may not always like the choices, but that’s what they are. I struggle with this myself. I know my kid would rather not have either (basically to have it his way) but I’ve had a hard time trying to explain it to him, so this tip helps. I think I gave too many choices to my oldest when she was little. I remember my Mother saying something along those lines. When my second came along, life was just not quite so flexible, so she got fewer choices by default. Great wisdom here on how to uses choices effectively and with long-term success. Yup Seana, after a while kids see it as a go-to routine. The second-time around is always a little different in many ways, isn’t it? I always found two was the right number of choices as well. I probably gave my oldest too many choices… but live and learn. Sometimes a choice can diffuse a bit of frustration or disappointment. Yup, just today I accidentally gave my toddler three choices and even THAT felt like a lot haha!